Legal for sale in the state of California, complies with C.A.R.B. regulations. Walker an industry leader for import and domestic applications, offers Walker CalCat Direct Fit Catalytic Converters, available for OBDII (1996 and newer) vehicles and Pre-OBD (1995 and older) vehicles, specifically formulated to comply with California Air Resource Board (CARB) regulations. 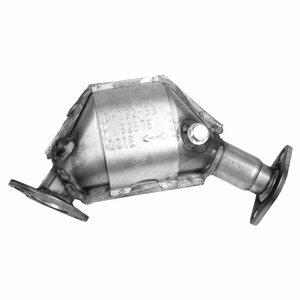 Walker CalCat Catalytic Converters are legal for sale in the state of California, and any state complying with California regulations. OE-style routing and hanger position for easy installation. Thick OE-style flanges, hangers and brackets for enhanced strength. 5-year/50,000-mile catalytic performance and structural integrity warranty.